For me, this project began nearly a decade ago. The week I turned 21, I took a 27-hour Greyhound bus from my hometown in Cambridge, Massachusetts to Kentucky. I’d just finished my junior year of college, and was on my way to a summer internship at WMMT-FM 88.7, a community radio station in the heart of Central Appalachia. I got off the bus bleary-eyed in London, Kentucky, and was met by the radio station’s development director. Together we drove another two hours east, weaving deep into the eastern Kentucky coalfields, before arriving in the town of Whitesburg, population 2,139. WMMT-FM is a part of Appalshop, an award-winning media arts and education center that was founded in 1969, a project of the War on Poverty. Today Appalshop continues to be a hub of cultural organizing, using documentary film, radio, theater and music to support people in telling their own stories and documenting their own lives. I was drawn to WMMT/Appalshop in part because of its groundbreaking work as a rural organization challenging the prison industrial complex as it rapidly descended upon the region. Since the 1990s, nearly a dozen prisons have been built in the federally defined central Appalachian region, making it one of the most concentrated areas of rural prison growth in the nation. Seven of these prisons form a ring around the edges of WMMT’s broadcast area and are within listening range. In 2000, my friend Amelia Kirby received a phone call while hosting her late night hip-hop show. It was a woman calling from Washington D.C., 500 miles away. She said her brother was incarcerated in one of the new supermax prisons in southwest Virginia and listened to Amelia’s radio show every week. Could she go on-air quick, to say hello to him directly? Amelia put the woman’s call on-air. This was the very beginning of WMMT’s Calls from Home show. After that first message, more calls started coming in every week, from Florida, Connecticut, Hawaii. Prisoners shared the station’s number with their families, in hopes of getting a message. And soon people from all across the country were dialing the number to this little community radio station in the hills of eastern Kentucky to reach their relatives incarcerated hundreds or thousands of miles from home. It was a desperately needed service. Phone calls to prisoners are often exorbitantly expensive and prisoners’ phone access can be extremely limited. The station has a toll-free number, so people can leave a message for those incarcerated free of charge. Prisoners are able to buy mp3 players from the prison commissary, on which they can tune into local radio frequencies. Over the years WMMT redesigned the show’s format to accommodate the increasing call volume. Now, every Monday night there is someone in studio B recording phone messages from 7-9 pm. Every message airs that same night from 9-10 pm, as long as it meets FCC regulations. As soon as I graduated college, I returned to Kentucky. I worked at WMMT-FM from 2010-2015, as a reporter and Director of Public Affairs, and I continued to co-host the weekly Calls from Home show. Over the years of answering those phone lines on Monday nights, I got to know the people who called in every week to leave messages for their loved ones in prison: Big Mama Duke who called in from Queens, NY for her son Daddy Duke every Monday night for twelve years; Butterfly who called from Memphis for her husband; Joe from Florida who called each week for his son Michael and always asked me how the weather in Kentucky was; Julie from outside D.C. who left the sweetest messages for her nephew Travis; Nita from Norfolk, VA who never missed a Monday to call for her boyfriend LaTrell; and so many, many more. I heard their lives unfold through the messages they shared — babies being born, high school graduations, new jobs, new hopes and new struggles. I also got to know many of the people who listened to the show from prison, from letters they sent us at the station. But in over four years of hosting the show, I’d only ever met a handful of callers in person. Mostly we were voices on the other end of the phone from each other. Sometimes I wondered if people even knew where they were calling — we were just a 1-800 number scribbled on a piece of paper with the promise of communication. I learned how for many families, visitation is near impossible. 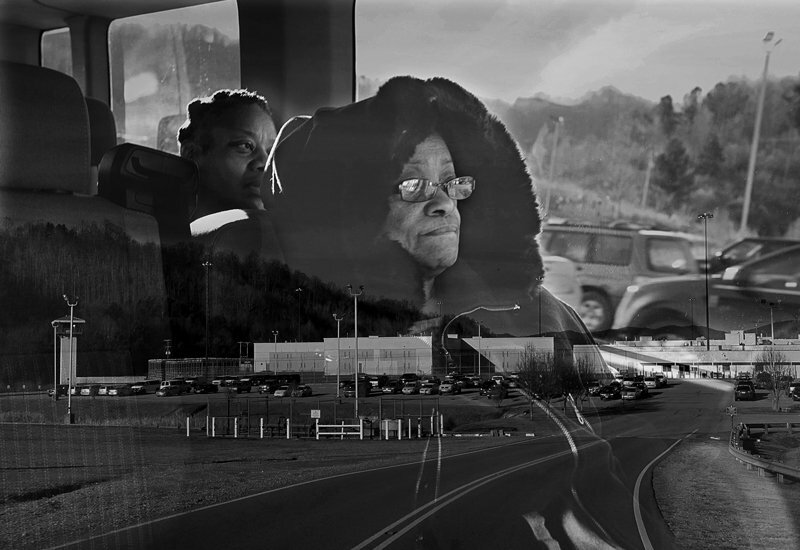 The trip is often over a long distance and expensive; there is no public transportation available to any of the prisons in Central Appalachia: no bus station, no train station, no airport nearby. If people do not own a car, or cannot afford to rent one, there is simply no way to get there. Some prisoners in the region are only allowed to have visitation on Wednesdays, the very middle of the workweek. Even those who get weekend visitation are only guaranteed a 45-minute visit — often behind glass — regardless of how far their family has traveled. But the trip is daunting in other ways as well. All of the counties that host prisons in Central Appalachia are over 95% white. According to the Sentencing Project, the black/white racial disparity in incarceration rates in the state of Virginia is 5:1. That is – for every one white person sent to prison, there are five black people sent. This is the same as the national average. In 2014, My Calls from Home co-hosts and I raised donations from a local church to fund free van trips for families to go visit. It was around this time I had the idea for the Restorative Radio audio postcard project. I wanted to do something collaborative with the people I was speaking with on the phone each week — a project where we could get to know each other in the process, where we’d all materialize into actual people meeting face to face. Hugely inspired by the work of Radio Diaries, I also wanted to push the Calls from Home format further, to see how we could use the art of sound recording to bring the outside world in; to create long form, professional quality, sound rich audio pieces that could express more than is possible in a straight voice message. The idea was to work with people to record the sounds of their own lives, in their own communities; the sounds of walking through their neighborhood, of a family gathering, of putting children to bed. Then to weave these soundscapes together with music, personal thoughts and reflections, hopes, dreams and memories. I have learned how so much of having a loved one incarcerated is about waiting and wading through mazes of bureaucracy, feeling like there is so little you can do. People wait for approval to visit, wait to be able to afford the trip, wait for news from a lawyer, for letters to be received, for lockdown to be lifted, for months and years to pass. I hoped this could be a therapeutic process for family members — to actively create something beautiful for the person they love inside, to share their own world in their own terms. We didn’t need any approval from the prisons to do this. We just needed access to public airwaves. Calls From Home has become his ‘eyes’ for seeing into our lives on the outside. Sound has become his sight and escape from daily prison life. He has been with me while I’m walking outside on the beach or around the track, and he pays attention to something as simple as the sound of my footsteps. I believe audio postcards will bring life to those who are incarcerated. Can you imagine hearing the sounds of your family celebrating a grandparent’s birthday, or the first cry of a newborn? Audio postcards will not only give them the opportunity to stay closely connected to their loved ones, but it will challenge them to make positive changes so they can return home and become actively involved with the sounds that they have come to love. Connecting the sounds of life and love to provide vision for the incarcerated — that’s what audio postcards will do! Enhance life for those who cannot participate or see the joys of life taking place on the outside. By the fall of 2015, I’d left WMMT as staff and was working on Restorative Radio full time. I used the money we’d raised to organize two van trips to visit supermax prisons in southwest Virginia. I poured through our Calls from Home contact sheets and invited every single person we had a phone number for who lived in Virginia to come on the trip. The first trip took place the last weekend of September. I rented a 15-passenger van and picked a meeting spot — 11 pm Friday night at a Greyhound bus station in Richmond, Virginia. All the costs of travel were covered, but people had to pay for their own motel room. We drove overnight so family members could go to both days of weekend visitation, but only have to pay for one night at a motel. We arrived at each prison right before visitation started at 9 am. One woman was coming to see her son for the first time in fifteen years. Almost no one had been able to visit in years. That Saturday night, over pizza and potato salad, we laughed about funny moments on the Calls from Home show, debriefed the day’s visitation, and got to know each other. Almost everyone I worked with on the Restorative Radio Audio Postcard series I first met on these van trips. For most of the people I worked with, I did the audio recording and editing, but we mapped out the production together. I made a little worksheet with categories like voices to include/favorite places/moments to capture/music that we worked through beforehand to brainstorm and plan out what it was they most wanted in the piece. During the production process I shared drafts along the way, and gave everyone final editorial say on their piece. My approach as much as possible was that we were co-producers, crafting together. I worked with nine families in this series. You can hear all nine postcards, and learn more about each person’s case here. The last clip I want to share is from Bonnie Turner’s audio postcard for her son Rudolph “Jay” Turner. Jay was charged with armed robbery in his early twenties. Like every single one of the families I worked with, Jay’s family could not afford to hire their own lawyer. 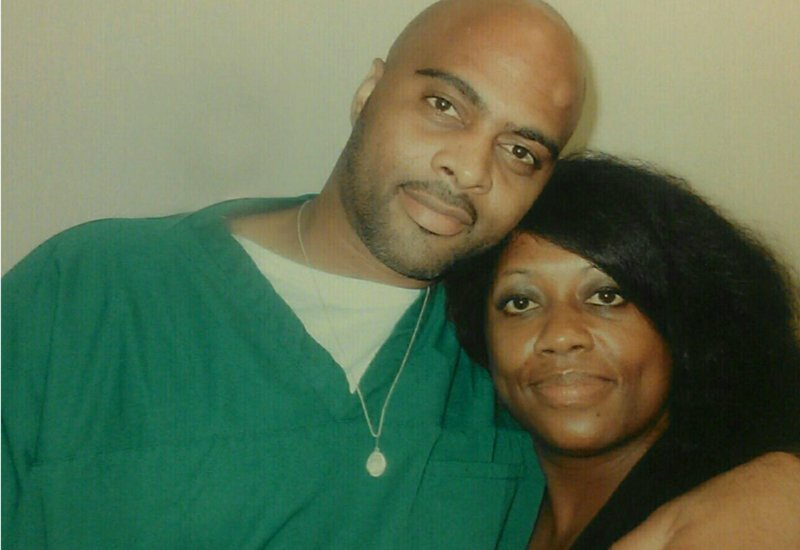 Jay is currently serving a 70-year sentence, nine hours from home. 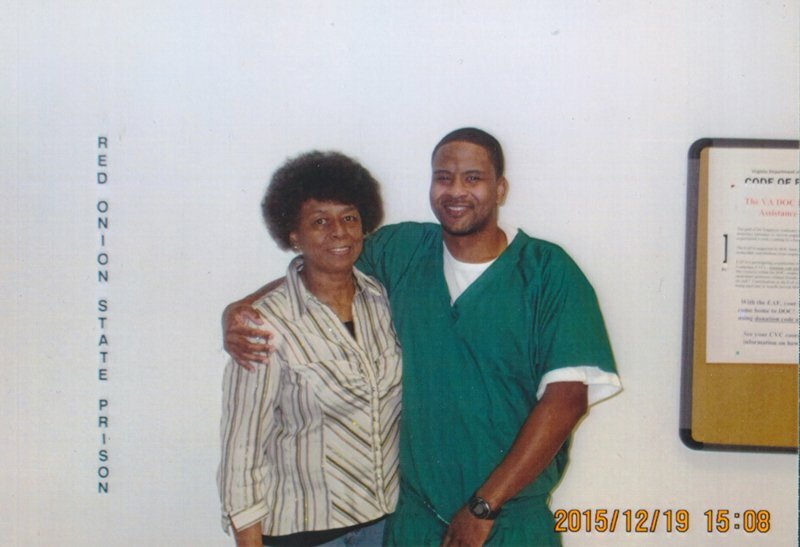 Because Virginia abolished parole in 1994, he has no possibility for parole; his release date is 2071. When I met Bonnie on the van trip, she hadn’t seen Jay in over four years. I spent an afternoon with Bonnie, recording her with her extended family in Chesapeake, VA. All of Jay’s siblings were there, his nieces and nephews, including his two-week old great-niece he’d never met. After hearing the piece, Jay told his mother he felt like he’d been “right there in the room” with his whole family. I’m currently in the development stages of continuing this project in my new home of New York City. Sadly, the geography of the prison system in New York State is just as relevant for this work. While Communities of Color in the five boroughs are disproportionately impacted by the criminal justice system, the majority of prison beds are in rural communities upstate, hours and hours from New York City. Several NY state prisons are as far as the Canadian border. I’m working to partner with rural radio stations in upstate NY that broadcast to NY state prisons, and families in NYC that have relatives incarcerated upstate in the prisons these stations reach. I think the potential for this model to expand is enormous. The greatest asset to this work is that the infrastructure for it already exists: public radio stations with local broadcast areas. I think the public element of this is very important. While these audio postcards are very personal, and directed to one person in particular, I specifically worked with people who were open to their pieces airing publicly. By broadcasting these audio postcards on public radio, they also reach a general listening audience, bringing family members’ voices to air in the very communities where their loved ones are incarcerated — humanizing those inside. At the same time, expanding this model is not an end in itself, but a way to publicly raise deeper questions about the U.S. Criminal Justice System. 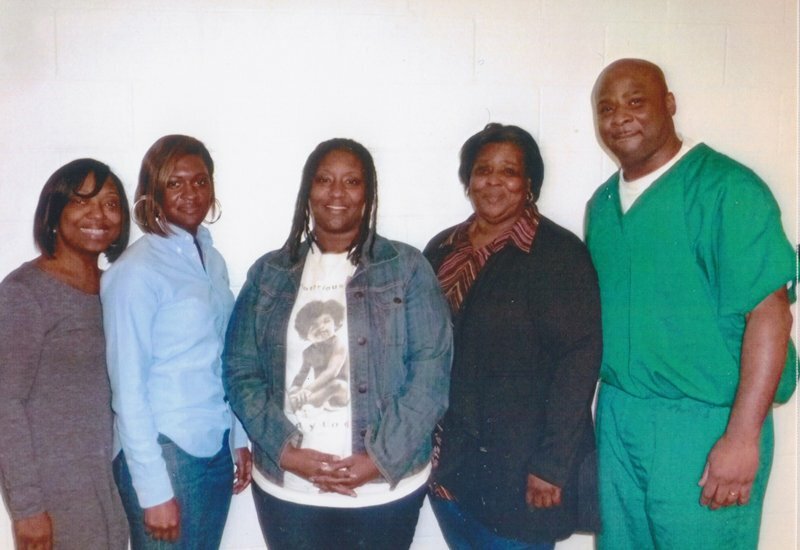 Why is it so hard for families to stay in touch with their loved ones incarcerated? Why are prisoners sent so far away from home? Who is being sent to prison, for how long, and for what reasons? If you are interested in collaborating, learning more about Restorative Radio NY, starting something similar in your own community, or able to support this work in any way, please reach out! I’d love to hear from you. My email is Sylvia.ryerson [at} gmail.com. You can learn more about Restorative Radio here and here. 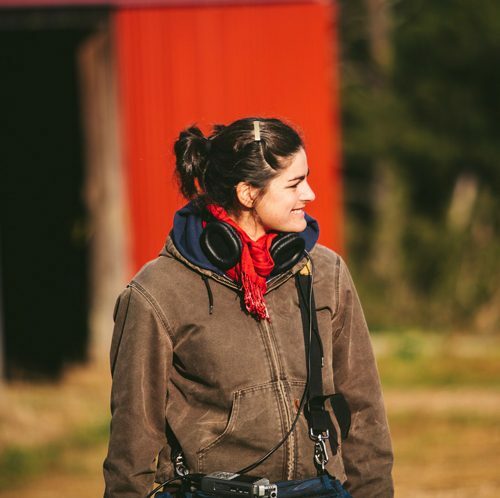 Sylvia Ryerson is an independent radio producer living in Brooklyn, NY. You can find more of her work here. As it happens, an interview with Sylvia just got featured by our friends over at Third Coast too. Here’s a link. Wow! This touched me heart in so many ways. Thank you for this work. Isabel sent me here. Love you Izzy!